Under the GEFONT “Organisation Development and Mobilisation Campaign”, GEFONT Province No.3 has formed Metropolitan, Sub Metropolitian and Municipalities Committees. Bhartpur Metopolitan City, 18 members Metropolitan Committee has been formed under the presidency of Govinda Aryal. Likewise, in Hetauda Sub-Metropolitan City, 17 members Sub-Metropolitan Committee has been formed under the presidency of Shyam Shrestha. And 7 members Municipality Committee has been formed under the presidency of Shankar Khanal in Ratnagar Municipality. Meanwhile, Deputy Secretary General Gita Karki and President of Province No. 3 Ram Hari Nepal also addressed the Gatherings. 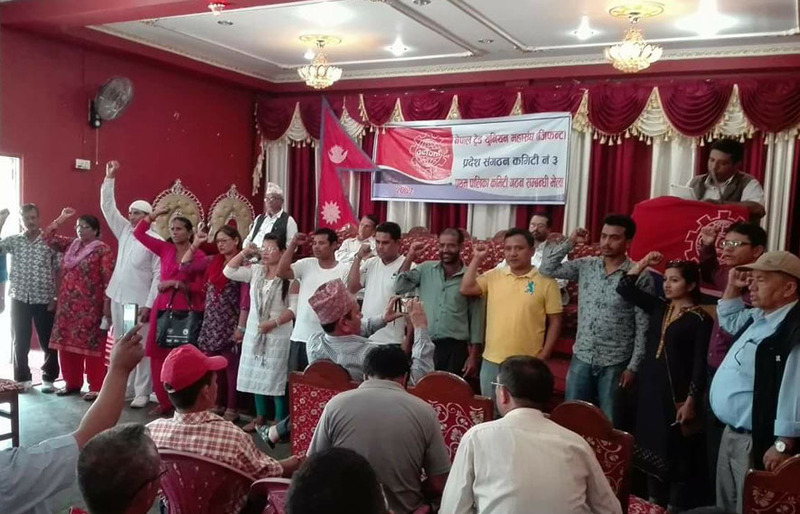 Newly elected Committees Members took Oath by President of Province No. 3 Ram Hari Nepal.